At the Horticultural Center, we were surrounded by beautiful plants and flowers. By dissecting a Lily Alstromeria flower, campers discovered the inner-workings of the flower and learned that a flower performs an important job for a plant. The flower is the reproductive organ of the plant. Flowers are pretty and smell good because they need to attract pollinators such as bees and butterflies. When a flower is pollinated, it’s ovary and ovules begin to grow into a fruit containing seeds. The seeds will one day grow into a new plant! 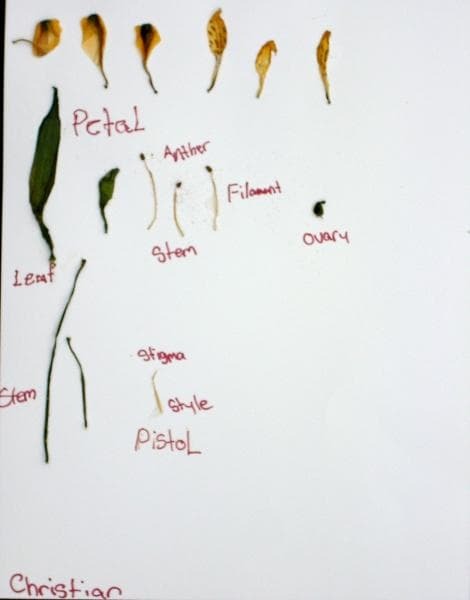 Campers identified and charted each part of the flower.